If you like police stories with persecution, infiltration and investigation KINGPIN may be just the right book for you. Written by Kevin Poulsen, it is an exciting story of the rise of one hacker to the control of the biggest crime forum on the internet. 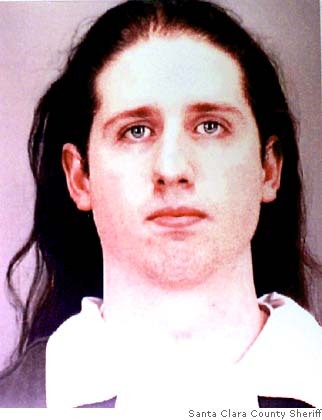 Kevin Poulsen is a former black hat hacker (a hacker that acts as a criminal), the FBI arrested him in 1991 and after his release he started working in the internet security business and as a journalist. Nowadays he is the Senior Editor for the Wired News. 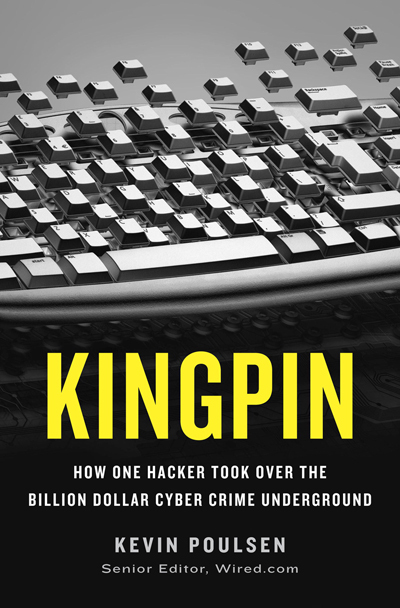 KINGPIN is about story of the underworld of the internet where all sort of digital criminals gathered and made business. It is an exciting criminal story with a lot of strategy and manipulation. You can see a world where everybody has a second life, even a third and fourth sometimes, and nobody is trustworthy. There is a lot of fight for power and recognition among the hackers and in between infiltrated police agents and snitches working for them try to stop all their activities. The central character of this book is Max Ray Butler. Max is a professional hacker who since a child would play with computer in his father shop and he had trouble with authorities since he was a teenager. He played a lot of different roles in his life. He worked sometimes for the police as a white hat hacker, some of them as an outlaw hacking computers to fix security bugs, other times as an underground forum administrator and also as one of the most famous carders in the world (carders is how the hackers call the ones who sells stolen card numbers). In the background of the story you can see the development of the internet, the rise and fall of many companies in the Silicon Valley, the beginning of e-commerce and the consequent emerging of a lot of internet security companies too. The book shows how were created the conditions that made a lot of high skilled workers became hackers in their search to find other ways to make a living, many of them going to the internet underworld to sell fake id, stolen credit card numbers and all sort of illegal items. There are also many legal issues presented by the book. 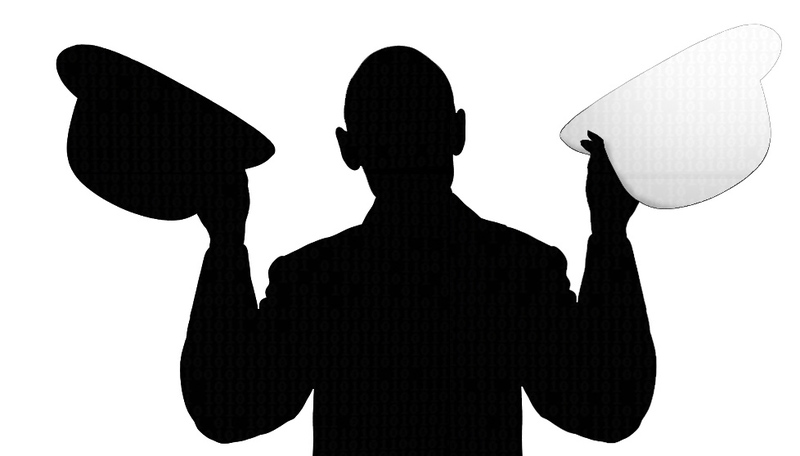 The emerging of a totally new field for the law: the privacy issues in the internet. In the story you can see the first legal cases regarding hacker actions and the first sentences. By telling the story of this one hacker, this book explains a little how these hacker communities worked: how the hackers relate to each other, how they do business, how they relate with the legal agents etc. And because of the author’s background, he is able to show even how the hackers work to get in the systems and steal all the data. One of the many interesting things that are shown in the book is the resources that the hackers use to crack into bank’s system. At first is easy to imagine that they use really complex coding to achieve their goal and that’s all, but actually they have a lot of creative ways and one powerful tool is the social engineering. By sending emails with fake promotions or announcing access for some specific content to the company’s employees they open a window in the system from where they can enter and leave at any time. It has cough up my attention because after the security companies started developing more sophisticated ways to keep the hackers out of the systems, it was the human factor that weakened it. The book also shows how addicted to hacking these people can get. It appears to be something that they can’t stop doing and it is clear that isn’t all because of the money. Many of them have started without any intention of using their knowledge for getting rich, but were already sleeping two hour a night just trying to hack something. The story is full of tense moment and discoveries as the characters keep changing sides and are always one after the other. You can really get involved by the theme and then start to take a little more care when surfing on the web because you will know what these criminals are capable of.